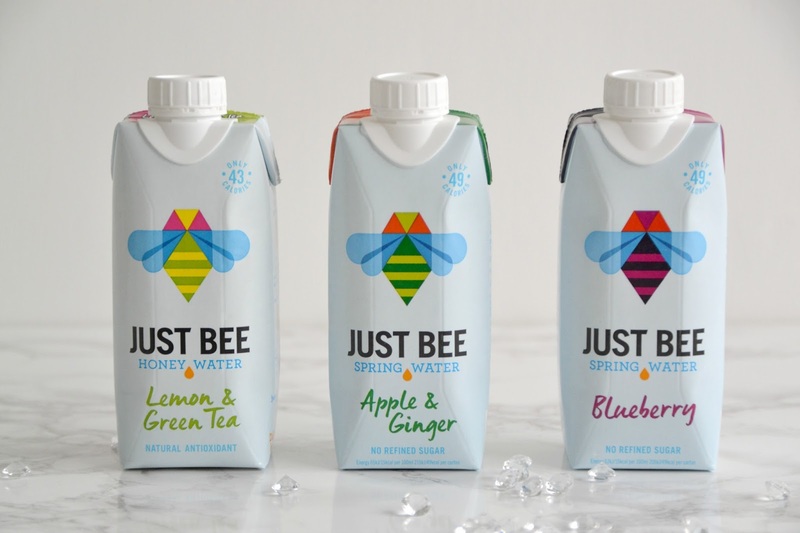 I hadn’t heard of Just Bee Drinks until I saw them on the SocialBerry Blogger Collaboration website and I was intrigued to find out more. Just seeing the packaging which is simple yet effective drew me in and I wanted to try the drinks out. Just Bee Honey Water Drinks are essentially spring water infused with a single drop of honey. They contain no refined sugar and are less than 50 calories. The drinks come in three flavours, Lemon & Green Tea, Blueberry and Apple & Ginger and I was lucky enough to receive one of each flavour to try. The Lemon and Green Tea drink is refreshing and light. This has a mellow taste and you can definitely tell there is both lemon and green tea infused in the drink. Apparently this drink is great for pre or post workout hydration and we all know how good Green Tea is for the metabolism. This contains only 43 calories per carton which is the least of the three drinks. The Apple & Ginger drink is also lovely and said to be a good ginger beer alternative, but for a lot less calories. I really liked this one too. Last but not least I received the Blueberry drink which is also only 49 calories. This one was also delicious and refreshing. I love blueberries and I drank this within seconds and it really hydrated me. Bees are very important to our civilisation, a wise man once said “If the bee disappeared off the face of the earth then man would only have 4 years left to live. No more bees, no more pollination, no more plants, no more animals, no more man!” – Albert Einstein. One simple way to help save the bees is to plant some bee friendly wildflowers in your garden, Just Bee are willing to send some free seeds, simply fill out their online form here. I think it’s lovely that they are supporting this. Head over to Just Bee Drinks to find your local stockist, I think they are definitely worth trying and would buy these again if I saw them in store. *I received these drinks free of charge in exchange for an honest review. All opinions are my own and I was not influenced in any way.